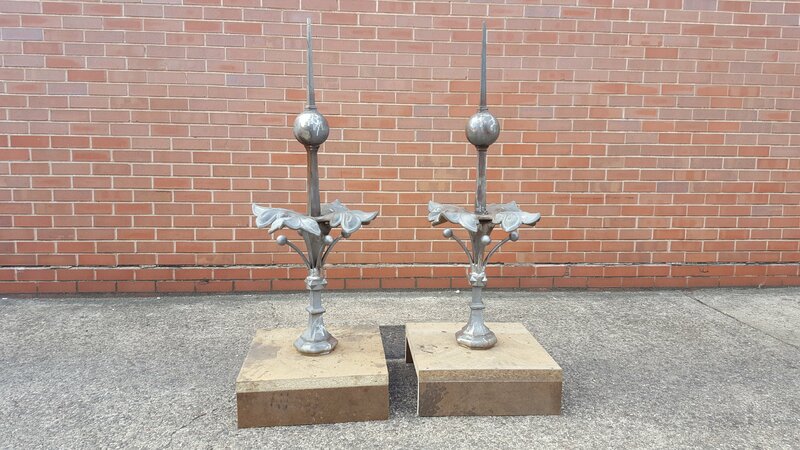 When a Redditch based construction organisation contacted Majorfax to replicate a 200 year old gate post finial, we applied our expertise in casting manufacture to assist in their project. The finials were to be placed on top of gate posts flanking the main entrance to the Help for Heroes war veterans retreat based in Malvern. A construction, infrastructure and support-service specialist organisation based in Redditch needed to replicate a 200 year old gate post finial. It was at this point that the organisation approached Majorfax due to our experience in ferrous and non-ferrous castings and expertise in providing high quality architectural castings for listed buildings, public buildings and historical sites. We worked very closely with our construction based customer to achieve the casting and design requirements; producing the finials to the exact manufacturing specifications as the original design, within a short lead time. To begin with, our technical specialists removed the paint from the original finial to be replicated. The object was then heated to remove the leading used to hold the assembly in place. Once the original object had been dismantled, our experts could then determine how many objects needed to be cast, how each object would fit within the assembly, what metal would be most suitable for casting and which casting process would be most appropriate to produce this finial. Our technical team then studied each individual cast object thoroughly, before forming patterns for each individual casting from the original assembly (what is a pattern? Click here to find out the basics of castings). Cast sets were then produced to ensure that both finials were authentic to the original design. The new finials have now been situated on top of gate posts flanking the main entrance to the Help for Heroes war veterans retreat in a Malvern care home. The Managing Director at the construction based specialist said ‘Thank you Majorfax, these are fantastic! Magnificent job’.